CHICAGO—Railroad workers from around the country and Chicago residents stood on an overpass on a recent bright September Sunday, watching a seemingly endless line of black tanker cars pass on the railroad tracks below. The train was likely carrying crude oil from the Bakken shale in North Dakota, judging by the red hazard placards on the cars and widely documented trends in crude oil shipment. 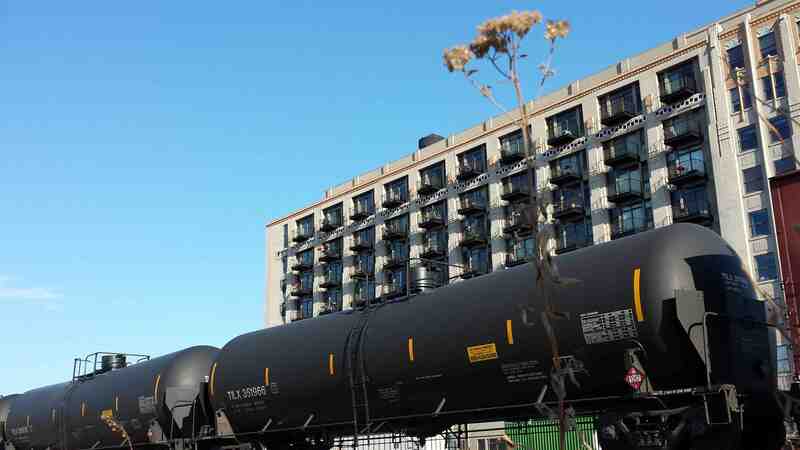 Chicagoans have become increasingly worried about oil trains carrying the highly explosive Bakken crude through the city, a major transport hub on the way to East Coast refineries. A conference hosted by the progressive labor group Railroad Workers United in Chicago Sept. 19 brought together railroad workers and local residents and train buffs to discuss how railroad workers’ safety and labor rights issues dovetail with safety and environmental concerns for the larger public. Oil trains are a perfect example, speakers and participants at the conference noted. Just look at the July 6, 2013 disaster in Lac-Mégantic, Quebec, when a parked oil train dislodged and plowed into the town, killing 47 and causing massive destruction and ecological devastation. The train was operated by a single crew member, engineer Thomas Harding, who now faces the possibility of life in prison, with trial starting in November. While prosecutors and the now-defunct Montreal Maine & Atlantic Railway have blamed Harding and several other railroad employees for the disaster, labor unions and other advocates say such tragedies are bound to happen more often if railroads are allowed to operate trains with single-man-crews and otherwise make staffing and management decisions driven by the bottom line rather than the needs and rights of railroad employees plus public safety. This weekend, October 11-12, there will be rallies in Lac-Mégantic and Chicago, demanding freedom for Harding and railroad traffic conductor Richard Labrie, accountability from railroads and government regulators including bans on one-man-crews and a continued ban on shipping crude oil through Lac-Mégantic. A flier for the Chicago rally, held at noon on October 12 outside the Canadian consulate at 180 N. Stetson Drive, calls on “environmentalists, neighborhood organizations, railroad workers, steel workers, firemen, all unions and all justice-loving people” to support Harding and Labrie and demand strict safety regulations from the federal government. Union members Harding and Labrie along with manager of train operations Jean Demaitre are each facing possible life in prison on 47 charges of criminal negligence and causing death. They also face federal charges under the Fisheries Act for the environmental effects of the crude oil that flowed into the Lac-Mégantic and Chaudière rivers. Those charges could result in $1 million in fines for each. Victims filed a class action lawsuit against Harding, but there has also been much local sympathy for him, with many Canadians blaming the company and government regulators and specifically the one-man-crew policy for the disaster. Harding was reportedly questioned by police for 10 hours after the disaster without a lawyer present, since he was officially being considered a witness at the time. Crude oil has not been shipped through Lac-Mégantic since the disaster, but a government ban on such shipments expires in January 2016. While the Montreal Maine & Atlantic Railway went bankrupt in the wake of the disaster, the U.S. investment firm Fortress Investment Group bought the company’s rail infrastructure and launched a new company, the Central Maine and Quebec Railway. Residents and industry watchdogs fear that the company plans to resume lucrative crude oil shipments, though company officials have been quoted saying there are no plans. Opponents are circulating a petition demanding that no dangerous goods including oil be shipped through the town, and that the tracks be better repaired. In the U.S., railroad workers scored a major victory against one-man-crews last September, when a unit of the International Association of Sheet Metal, Air and Rail Transportation Workers (SMART) union announced that members had voted down a proposed contract which would have allowed the railroad company BNSF to run more than half its trains with just one worker on board, as In These Times reported. At the recent Railroad Workers United conference, Ron Kaminkow and other speakers said they think that development – which appeared to take the union leadership and the company by surprise—will mean that major railroad companies do not try to push for one-man crews in the near future. But before long they are sure the issue will be back, especially if the amount of crude oil shipped by train continues to grow. “A generation ago trains had five to six crew members, the caboose and head each had two to three,” said Kaminkow, who has worked for different railroads in the Midwest and Western U.S. “We’ve pared it down from six to five to four to three to two. Railroad Workers United was formed in 2007 to bring workers from different rail unions together on safety and labor rights issues including one-man crews. The group formed in part because of tension between the major rail unions, the Brotherhood of Locomotive Engineers and Trainmen (BLET) and United Transportation Union (UTU). UTU is affiliated with SMART, the union whose leadership had agreed to allow one-man crews on some BNSF lines until their rank-and-file membership shot the idea down. 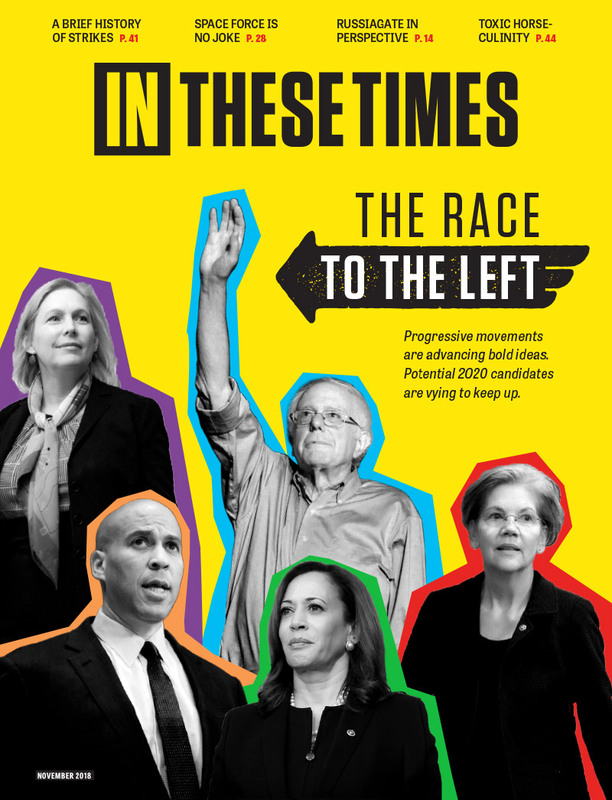 “For years the railroads have divided train crews by pitting the leaders of these two unions against each other,” wrote RWU members J.P. Wright and Ed Michaels in Labor Notes in 2012. Both the BLET and UTU have signed on to the proposed Safe Freight Act, introduced in 2013, which demands a certified conductor and engineer on every train. They are also pushing for state laws demanding two-person crews. One-man crews would exacerbate long-standing safety issues that pose a serious risk even with two-man crews, railroad workers maintain. Jeff Kurtz, a BLET member and locomotive engineer for almost 40 years, at the RWU conference discussed how chronic fatigue is a long-standing safety and workers’ rights issue for railroad workers, and one that becomes particularly dangerous if an engineer is operating a train alone. He and other speakers noted that railroad workers suffer from both acute and chronic fatigue that affects both their performance at work and their long-term health and quality of life. Kurtz noted that the effects of chronic fatigue can nullify safety measures instituted by the railroad. For example engineers are often required to respond to certain alerts to make sure they are awake and alert. But when “automatic response behavior” kicks in for a fatigued individual, they may acknowledge the alert as they’ve become used to doing while they are actually half-asleep. Railroaders similarly experience “micro-sleep” where “you don’t realize you’ve fallen asleep, and the next thing you know you are a couple miles down the road and you don’t know how you got there,” as Kurtz said. He charged that railroads’ variable work schedules and punitive attendance policies combined constitute violations of the Federal Rail Safety Act by forcing employees to work in unsafe conditions. Railroad workers and other union supporters of Harding and Labrie say the men are a chilling example of a situation where inadequate regulations and conditions imposed by the industry put dedicated employees in a position where they became responsible for a tragedy. Surely this group then supports constructing the Keystone XL pipeline! Won't Decreased Demand For Oil Solve The Exploding Trains Problem? Even if demand temporarily slows down the flow of Bakken crude, poorly regulated railroads carry other dangerous cargos. Bellingham, Washington, Mayor Kelli Linville said it was good to address the volatility of Bakken crude, but she wanted to make sure the standards for tank cars hauling other hazardous materials are also evaluated. “We also have natural gas, we also have chlorine, we have a lot of very volatile products that go through our community, and so when we talk about safe rail cars, we’d like to make sure they’re safe for everything, not just for oil,” Linville said. According to McClatchey DC, “Outlet valves underneath four tank cars in a February oil train derailment in West Virginia were sheared off and the 50,000 gallons of crude oil they released ignited in a fire that subsequently caused several nearby rail cars to explode, according to a federal report. The Federal Railroad Administration needs to hear from ordinary citizens, not just railroad lobbyists.